Explore our new items we’ve added. 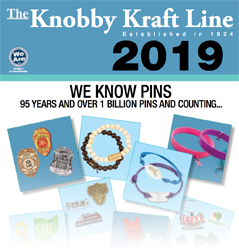 Knobby Krafters and their manufacturing sources work within the guidelines of applicable US Federal and State Safety Requirements and California Prop 65. Knobby Krafters performs and maintains third party testing on Children’s Products as required per Consumer Product Safety Improvement Act (CPSIA). We confirm each applicable product manufactured and imported by us meets all applicable testing and labeling requirements under the CPSIA. Test results and a General Conformity Certificate (GCC) are available for your records.